while I’ve never been one to swoon over a sick beat, I can absolutely understand why many do. What I can’t understand though, is why musicians (and models, and B-list celebrities) think that they are also fashion designers. stores. 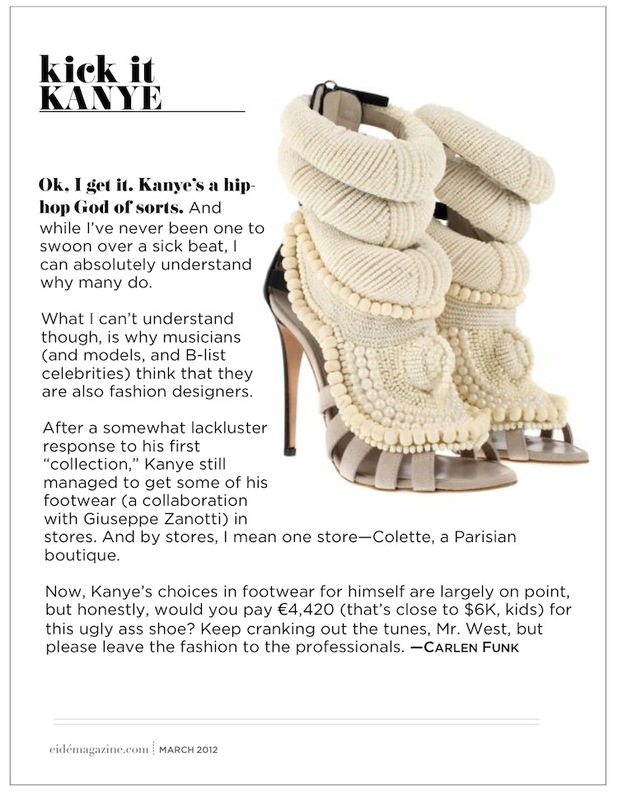 And by stores, I mean one store—Colette, a Parisian boutique. Changing a career isn’t always a good decision. When Niya McIver relocated back to Atlanta after working in the corporate world in Texas, she found her new career path outside her professional experience. 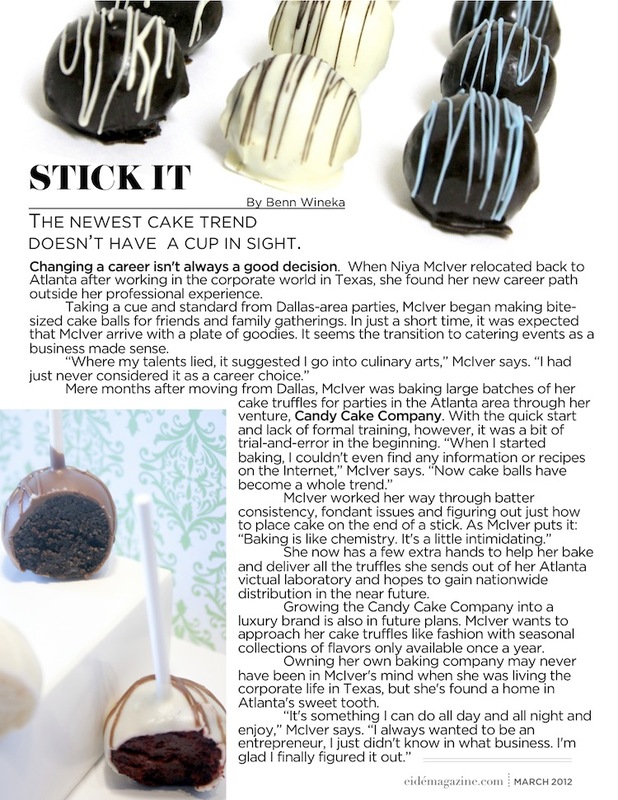 Taking a cue and standard from Dallas-area parties, McIver began making bite- sized cake balls for friends and family gatherings. In just a short time, it was expected that McIver arrive with a plate of goodies. It seems the transition to catering events as a business made sense. She now has a few extra hands to help her bake and deliver all the truffles she sends out of her Atlanta victual laboratory and hopes to gain nationwide distribution in the near future. Growing the Candy Cake Company into a luxury brand is also in future plans. McIver wants to approach her cake truffles like fashion with seasonal collections of flavors only available once a year. Owning her own baking company may never have been in McIver’s mind when she was living the corporate life in Texas, but she’s found a home in Atlanta’s sweet tooth.